This entry was posted in Jake Brown and tagged ART, backyard ramps, boards, east coast, house of steam, Jake Brown, jason, Jason oliva, jasonoliva, New Jersey, New York City, oliva, paintings, photography, pool Skating, ramp, ride, sk8, sk8t, skate, skate decks, skate history, skate photography, Skate ramps, skate trucks, skate wheels, skateboarding, skateboarding history, skateboarding photography, skateboards, skatepark, skater, SKATERS, steam, Street Skating, TEAM STEAM, The Barn, The House of Steam, thos, vert, vert ramps, Vert Skating on August 6, 2007 by jasonoliva. 196: Jake Brown BLIND What if? This entry was posted in Jake Brown and tagged ART, backyard ramps, BLIND, boards, east coast, house of steam, Jake Brown, jason, Jason oliva, jasonoliva, New Jersey, New York City, oliva, paintings, photography, pool Skating, ramp, ride, sk8, sk8t, skate, skate decks, skate history, skate photography, Skate ramps, skate trucks, skate wheels, skateboarding, skateboarding history, skateboarding photography, skateboards, skatepark, skater, SKATERS, steam, Street Skating, TEAM STEAM, The Barn, The House of Steam, thos, vert, vert ramps, Vert Skating, what if? on August 6, 2007 by jasonoliva. 195: “NO WAY!” its Jay Henry: Fear and Loathing on The Vans Warp tour. Also Jake Brown hijacks Jay’s post! I went to the Vans Warp Tour yesterday, it was pretty cool. Sure there was 1 million and four 13 year olds there but it was still funny. I was able to con my way in for free by saying I was going to skate in the contest, but I only skated after it was over. I saw a friends band play, Hot Rod Circuit. I missed their electric proper set but saw them play an acoustic set in the MyGaySpace tent, and they really have something going on. They got the 13 to 17 year old demographic lock down that’s for sure. When I skated I was pleasantly surprised to run into my friends Brian 2C and Lane from Washington DC representing the Gorilla Fist Clothiers. Lane took 3rd place in the contest and was doing a fine job of throwing down on the 6 foot tall 20 foot wide mini ramp. They flowed me a few shirts so I was able to tell everyone I got sponsored. 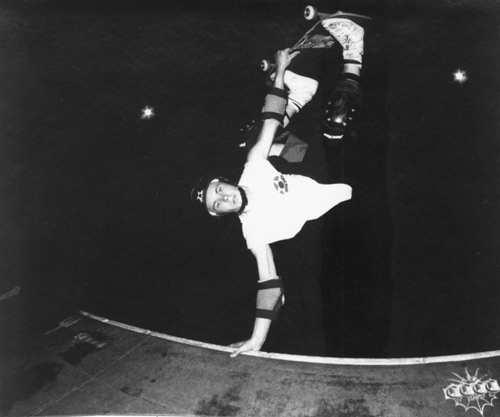 Then I was skating with some red neck looking dude who was killing it, and when I went to tell him he was shredding I realized it was Mike Vallely! Man that kid can lay some hot smack down on a mini ramp. I was bummed to hear that his band had just played, but we had countless other hot punk and metal type bands playing on the stage right next to the ramp. The best part of the day was when I fell down and busted open my elbow and was able to bleed again, god it had been hours since I had a good bleeding, all part of the show folks! Sorry no pics, but my new friend Maggie is not only a hottie, but claims to be a photographer, so hopefully I can start to document the carnage and debauchery that has become the epicenter and bane of my existence. Always a pleasure Jay. 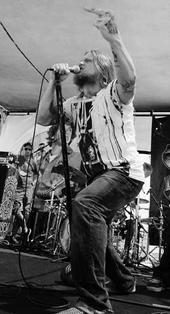 Vallely is a great friend of the site so go check out his band Revolution Mother! Hope you enjoyed our second installment of “NO WAY!” its Jay Henry. If you are on the East coast and have something that needs staining in blood let me kno, Ill have Jay over there in a flash reporting on it. Ps. Flow me some of that Gorilla Fist Clothing!! Im sure everyone has seen the video of Jake Brown practically falling out of a 4 story building when his board went squirrelly on the Espn Mega ramp (im not gonna show it hear) Just wanna say we are glad you are ok!! I do long for the days when face high was enough and skaters where athletes not stunt men. I guess no one will be talking about Chris Miller slamming at The Pipeline in an Upland anymore. So is skating too Evel Kenievel now? What do you think? 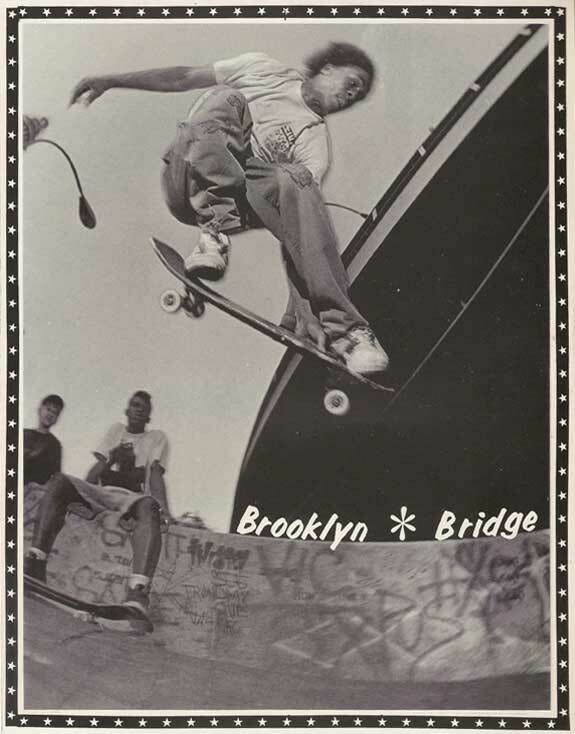 This entry was posted in 2007, Jake Brown, Jay Henry, Mike Vallely, SKATE PARKS:, SPOTS: and tagged ART, backyard ramps, boards, east coast, house of steam, jason, Jason oliva, jasonoliva, Jay Henry, Mike Vallely, New Jersey, New York City, oliva, paintings, photography, pool Skating, ramp, ride, sk8, sk8t, skate, skate decks, skate history, skate photography, Skate ramps, skate trucks, skate wheels, skateboarding, skateboarding history, skateboarding photography, skateboards, skatepark, skater, SKATERS, steam, Street Skating, TEAM STEAM, The Barn, The House of Steam, thos, vert, vert ramps, Vert Skating on August 6, 2007 by jasonoliva.